You guys! This is such a delicious salad! Surprisingly enough, I’m not a HUGE salad lover when it comes to the main dish (I do however, love them on on the side . . . weird, I know). The salad has to be unique enough, filling enough, and tasty enough to ever count for the main attraction. Well, this one fits the bill! I am seriously in love with this salad! When I made it I doubled everything (salad ingredients and dressing) so I could eat leftovers for my lunch for days. I mean, cutting up the veggies takes the most time so I just dedicated one lunch time to cut everything up. This meant that the following days included NO preparation and all I had to do was put my salad on a plate and drizzle on the dressing. The veggies and greens stay good for days so in my humble opinion it was SO WORTH THE TIME! 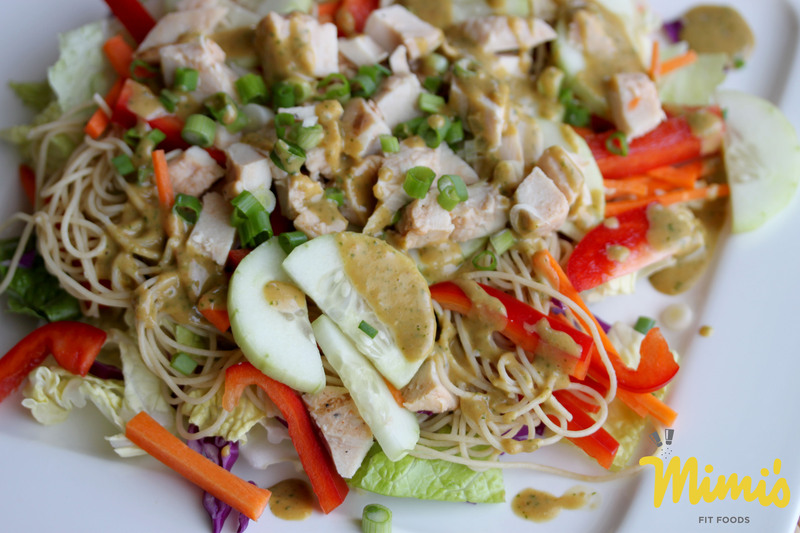 Make this TODAY for your lunch! You won’t regret it. Well, unless you’re allergic to nuts. But, that’s the only reason I can ever imagine why someone wouldn’t fall in love with this salad. Cook noodles according to package directions (be sure to add salt to your boiling water, which should be included in package directions). While you are waiting for your noodles to cook, chop all of your veggies. When the noodles are done run cold water over them. When the noodles are cool, drain. 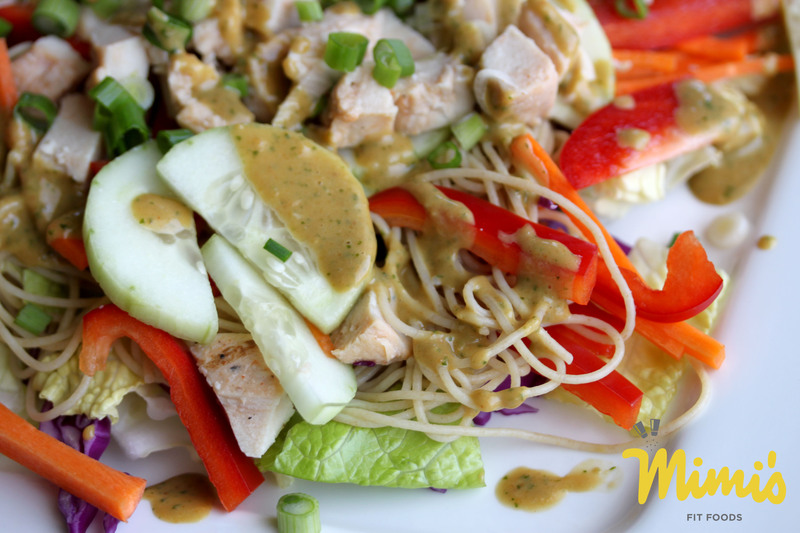 Toss all of the salad ingredients together and serve with Thai Peanut Salad Dressing. Put all of the ingredients in a blender and blend until smooth. If you want the dressing spicier add more Sriracha, if you aren’t into spice, start out with 1 teaspoon and add to taste from there. The dressing makes approximately 3/4 cup (or 12 tablespoons).